The Missions Ministry at Lycoming Christian Church coordinates the missionary outreach by leading the congregation in a commitment to world-wide evangelism. This is accomplished by designating 10% of offerings to local, national and international missions. We help equip workers, whether local or abroad, in order to fulfill the Great Commission (Matthew 28:19 - 20) through prayer, encouragement and accountability. We support the congregation in awareness of missionary efforts worldwide and provide a channel of communication between our missionaries and the congregation. Through the Mission Ministry, LCC evangelizes to the Williamsport area, the United States and around the world. The American Indian Christian Mission has the privilege of ministering to Navajo and Apache children from two of the largest Indian Reservations in Arizona. The school has offered a Christ-centered education to hundreds of children since it began in 1985. Through various ministries, AICM continues to seek to build relationships of trust and respect with the children, their families, local pastors and tribal leaders. The Christian Student Foundation (CSFPA) works to expand the Kingdom of God at a crucial point of influence within our culture - the university. Campus ministry exists for the specific purpose of serving the spiritual needs of the students. Their presence on campus also connects with university staff, administration, and faculty. CSFPA sponsored fellowship groups, known as Christian Student Fellowship (CSF), strive to help young collegians balance all the disciplines of the Christian faith: worship, prayer, study, fasting, meditation, submission, simplicity, solitude and service. Expectations Women’s Center is a non-profit mentoring and pregnancy resource center committed to providing women and men with accurate, up-to-date information in order to make informed decisions about pregnancy, sexual health, and relationships. Ghana Christian Mission is a charitable non-profit organization devoted to the spread of the Gospel of Jesus Christ in word and in deed to the people of Ghana Africa. 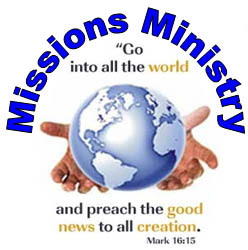 Mountain Mission School (MMS) is a non-denominational Christian mission located in Grundy, Virginia. We serve as home, church and school to at-risk youth from around the country and the world, and we are dedicated to helping “MMS Kids” grow to lead productive, Christ-centered lives that glorify God. Since 1921, we’ve cared for more than 20,000 children. MMS Kids come to us from families torn apart by poverty, abandonment, divorce or death, or they come in need of safety from neglect or abuse. Northwest Haiti Christian Mission is an Independent Christian Church organization dedicated to establishing and partnering with indigenous churches to help bring people in Northwest Haiti out of spiritual, physical and social poverty to demonstrate God’s love for all. Established in 1947, Sylvan Hills Christian Service Camp is a year-round camp and retreat center supported by independent churches dedicated to the restoration of New Testament faith and practices. Provides English teachers (ESL) who conduct covert evangelical work.